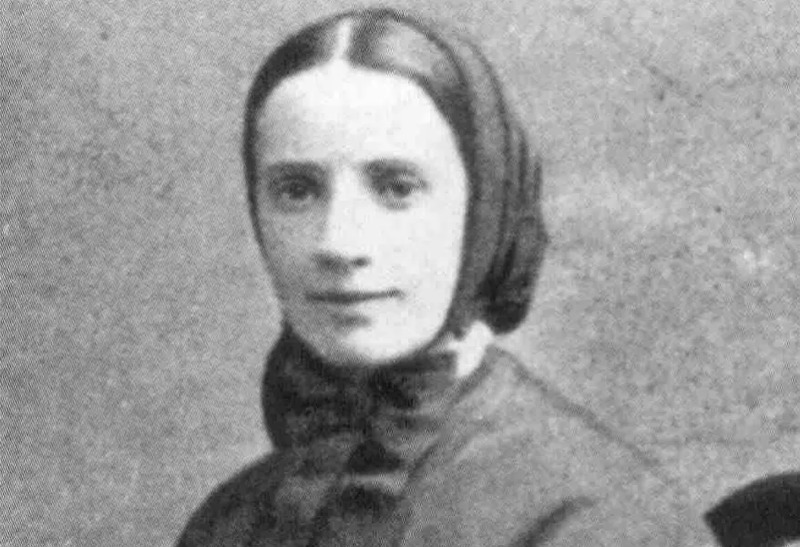 Vatican City, Nov 9, 2017 / 12:08 am (CNA/EWTN News).- Pope Francis praised St. Frances Cabrini in the preface to a book about her life for her foresight in addressing the needs of migrants, saying she’s an example of how to treat people with both charity and justice. 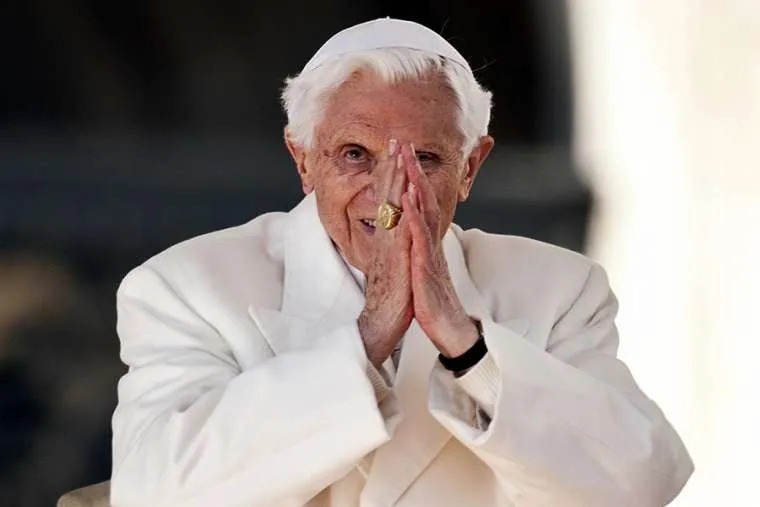 Vatican City, Feb 7, 2018 / 02:18 am (CNA/EWTN News).- In a rare new letter penned by Benedict XVI, the retired pontiff said he is in the last phase of his life, and while his physical strength might be waning, he is surrounded by a “love and goodness” that he never imagined. 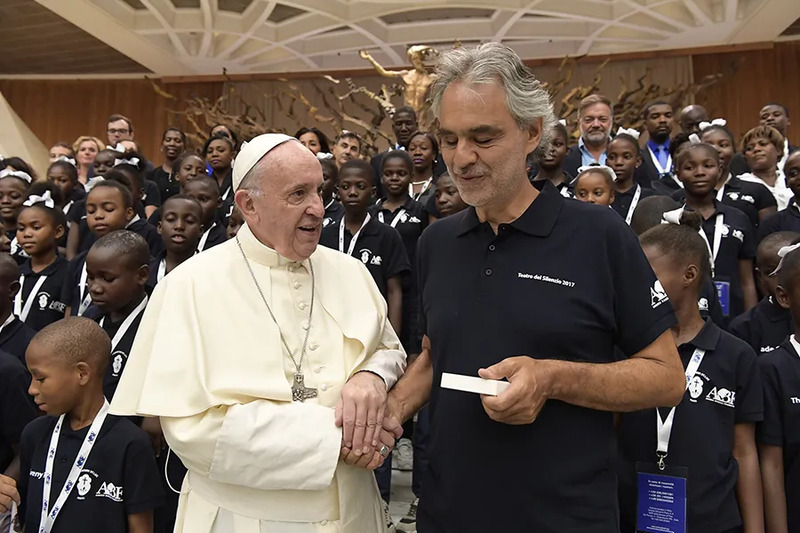 Vatican City, Aug 2, 2017 / 09:56 am (CNA/EWTN News).- Wednesday there was a special surprise at the end of Pope Francis’ general audience – a performance by acclaimed Italian tenor Andrea Bocelli and a choir of 60 children from the poorest areas of Haiti. The choir, called “Voices of Haiti,” sang three songs with Bocelli, including ‘Amazing Grace’ and ‘Ave Maria,’ following the general audience in the Vatican’s Pope Paul VI hall Aug. 2. After the performance the children and world-renowned singer were greeted by Pope Francis. The performance was part of a nearly two-week-long European tour of the children’s choir, made up of youth ages 9-15, coming from some of the poorest areas of Port-au-Prince Haiti. Besides Rome, the tour included stops in Pisa, Florence and Lajatico, Italy, Bocelli’s birthplace. In Lajatico they will perform with Bocelli in front of 15,000 people for the 12thh edition of his annual concert at the famous Teatro del Silenzio. In Florence they sang for the inauguration of a foundation dedicated to the Italian director Franco Zeffirelli. The children of the choir and related projects come from the Citè Soleil slums where over 300,000 people live in tin shack houses, without access to water and sanitation. The project has been ongoing since January 2016. The children participate in weekly rehearsals on Saturdays, which include breakfast, lunch and game time in addition to vocal exercises, music therapy and song rehearsal. Buses pick them up and bring them home after. They learn both folk Haitian and international music and perform throughout the year in local celebrations in their community, such as Easter and the end of the school year. In September 2016 they traveled internationally for the first time, performing in New York City. “Voices of Haiti” is a project of the Andrea Bocelli Foundation. In addition to the choir, the foundation also introduces music into the 30 schools supported by the local St. Luc Foundation in Haiti. They also help to provide education, food, and health assistance to thousands of children, water and electricity to remote and poor communities, solar panels and libraries. “Voices of Haiti” is directed by Malcolm J. Merriweather, a professor at Brooklyn College Conservatory in New York, and is run by a team of Haitian collaborators made up of musicians, teachers, and administrators. Why a choir? Because “music is the soul’s voice, its strength and beauty open minds, and develop thoughts…” the website continues.